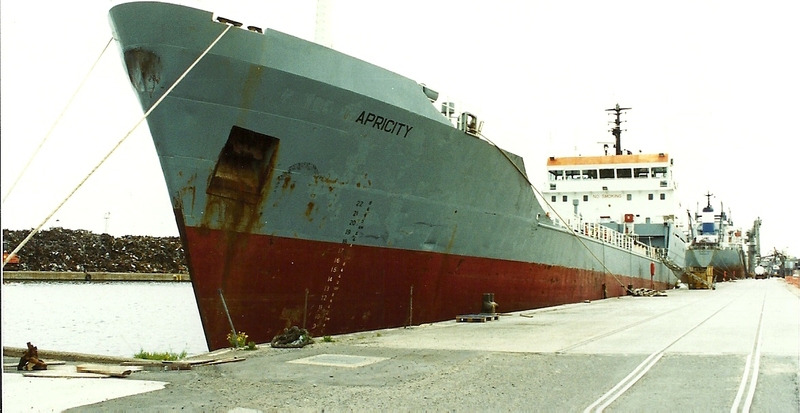 The coastal vessel APRICITY in Tilbury when up for sale. She was owned by F T Everard. She was built in 1967 at 692 grt. Not the 1967-built general cargo vessel, but the 1971-built products tanker. 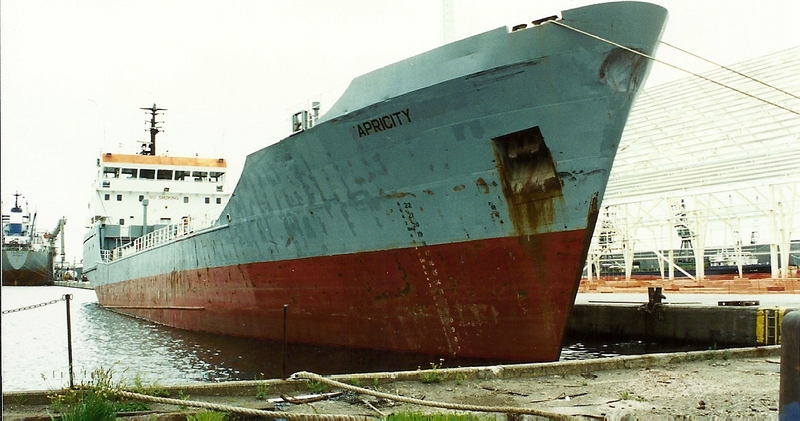 The tanker APRICITY (2178 tons gross, 3365 deadweight) started life at a shipyard in Appledore, Devon, and was commissioned in 1971 as Esso Petroleum Co Ltd’s ESSO INVERNESS, and mostly involved in UK coastal petroleum trade. Together with other Esso tankers, it was renamed in 1994, in this case to PETRO INVERNESS, and one year later, in June 1995 was sold to F T Everard & Sons Ltd, London, which put her under its subsidiary F T Everard Shipping Ltd, and she was renamed APRICITY. Within two more years she had been sold, this time to a Greek outfit, which put her under Panamanian flag as MEDOIL I, and she went off to the Mediterranean where she spent the rest of her career. She was broken up at Aliaga, Turkey, in 2011.